Fjola's Wonderland: SAY NO TO NAIL BUBBLING !!! 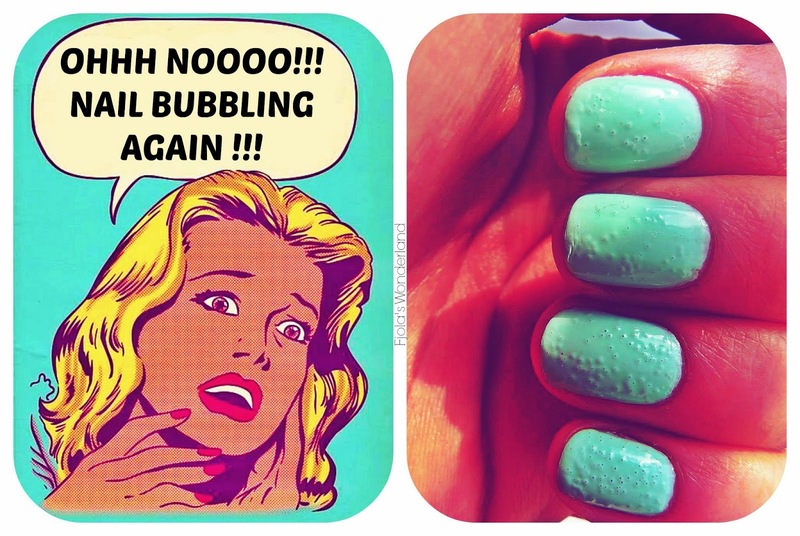 SAY NO TO NAIL BUBBLING !!! Oooh gosh ..I hate when I finish a really good manicure and then my nail polish start bubbling..so I did a research online to find ways to prevent my nail polish from those ugly bubbles. In other cases I love bubbles , but on my nails ohhhh no no hun you have to get off me !!! 1. - After you remove your previous nail polish with polish remover, wash your hands before reapplying the new coats. I never realised this but the nail polish remover stays on your nails and can cause the polish to bubble and chip more easily! 2. - Don't shake your nail polish bottle. Instead, just roll it in your hands. The more you shake, the more likely it is for the polish to get little bubbles which you will then paint onto your nails. 3. - Avoid overly thick polish. If your polish is getting old, just add a bit of nail polish remover to it so that it thins out! 4. - Lift the brush as little as possible when applying, try to do long strokes. Short strokes seem to allow more air to get into the polish so if you use long slow strokes it will help eliminate this issue. 5. - Don't do your nails on a really hot day or if your body temperature is up after exercise. Heat from our bodies can actually cause the nail polish to become a bit unhappy and bubble up!